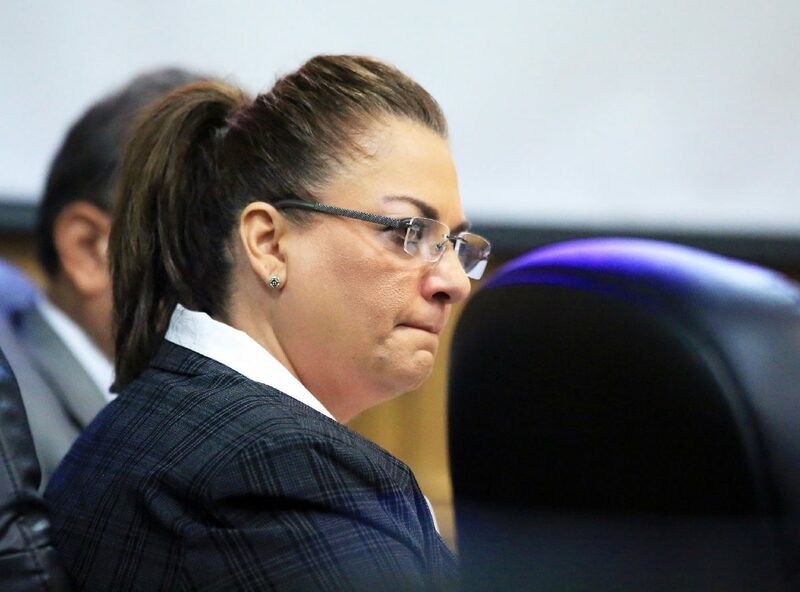 EDINBURG — After five weeks of presenting evidence and testimony from nearly 50 witnesses, the prosecution announced Monday morning that it had rested its case in the Monica Melissa Patterson capital murder trial. The defense, which chose not to give an opening statement at the outset of the trial, subsequently announced that it too would rest, to the surprise of many in the courtroom. Patterson’s four-person defense team — comprised of high-profile attorneys — was expected to call its own medical examiner to the stand to challenge the prosecution on the victim’s cause of death. Last week, a Hidalgo County forensic pathologist testified that 96-year-old Martin Knell Sr. died from asphyxiation by suffocation. Patterson, the 50-year-old former administrator for the McAllen-based nonprofit hospice, Comfort House, is alleged to have murdered Knell in January 2015 in order to access his estate. At the time of his death, she was named payee upon death on his bank accounts and stocks and was both executrix and beneficiary of his will. In addition to capital murder, Patterson is charged with theft of property related to Knell’s estate, as well as one count of theft and another of misapplication of a fiduciary. These charges stem from allegations that she stole from Comfort House during her tenure as administrator, a role she held from early 2014 until her August 2015 arrest. Prior to the defense and prosecution resting Monday morning, another juror was replaced with an alternate due to being too ill to fulfill her duties as a juror. This left the court with just one alternate left from four. Both sides will present their closing arguments to jurors Wednesday.